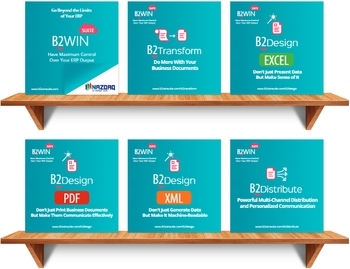 B2Win Suite | Have Maximum Control Over Your ERP Output | NAZDAQ Ltd.
With advanced business document design capabilities, personalization and batch delivery. 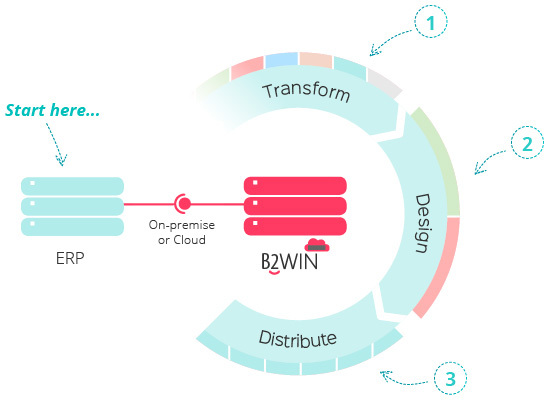 B2Win Suite is a software package geared towards Customer Communication Management (CCM) and Output Management (OM), specializing in converting ERP documents and reports into multiple formats with the ability to design, personalize and distribute them using a single and easy-to-use multipurpose interface. 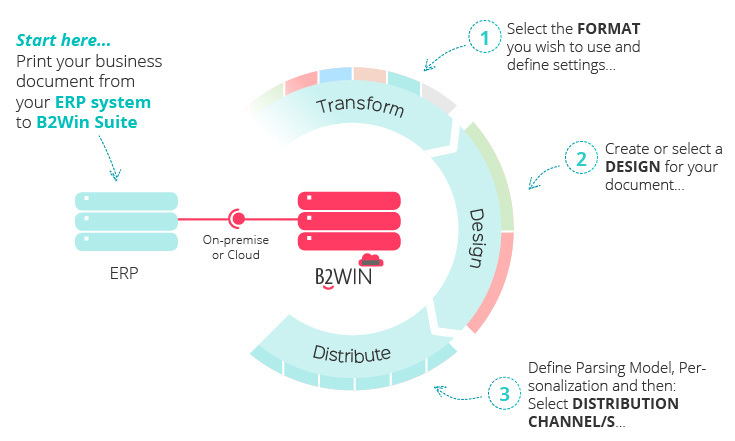 With B2Win Suite businesses can simplify, streamline and optimize their business communication with their internal and external stakeholders. Each core application within our suite is integrated into the entire system’s infrastructure to expand functionality and automation and improve business efficiency. 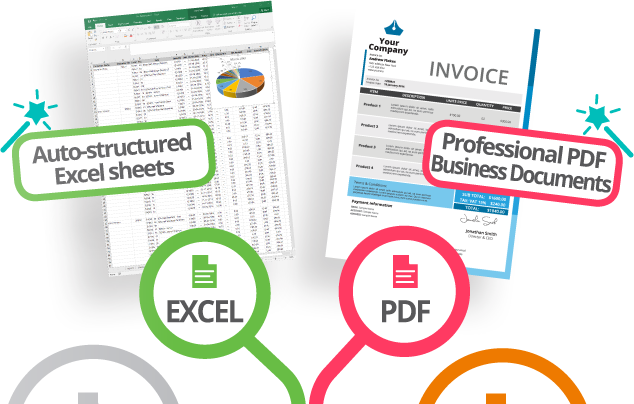 Apply design and customize your Excel/PDF business documents with powerful design capabilities. 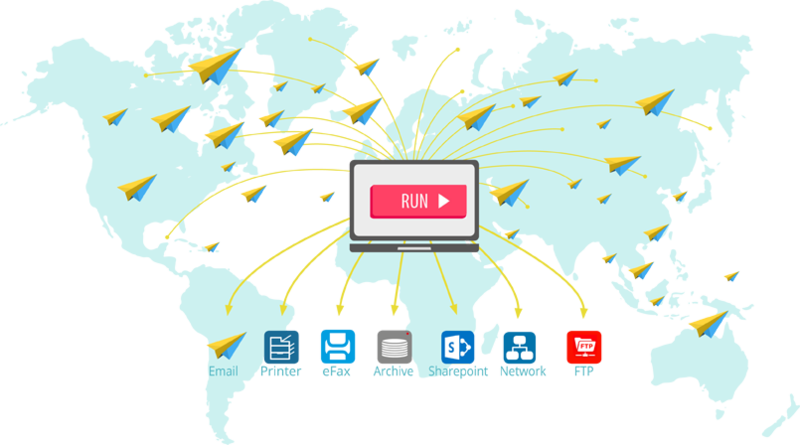 Distribute documents across multiple channels such as email, printer, efax, archive, sharepoint, ftp and more with advanced personalization and batch-delivery. 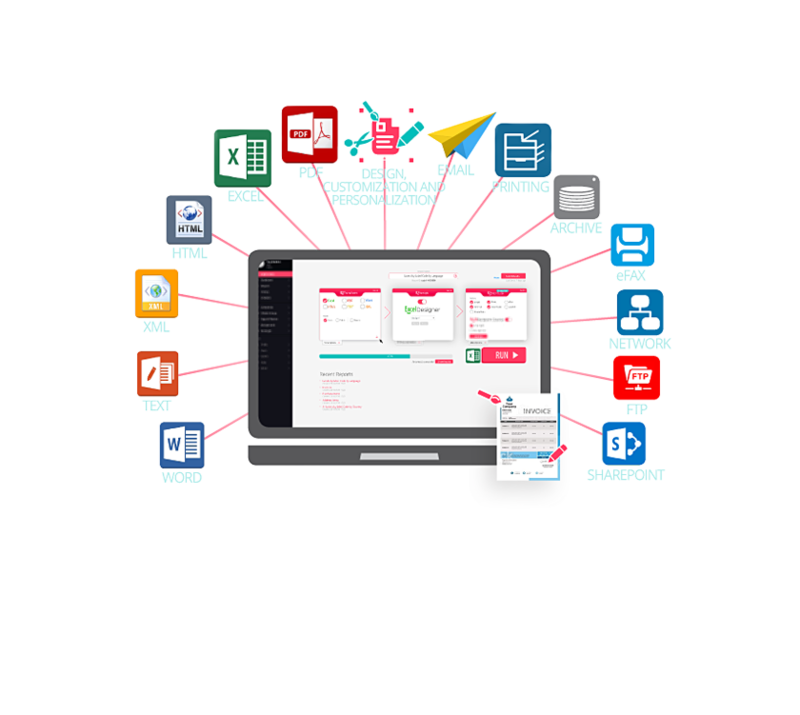 It starts with 3 easy configuration steps and ends with just a 1-Click action to distribute your converted and custom-designed business documents. Select the FORMAT you wish to use and define settings. 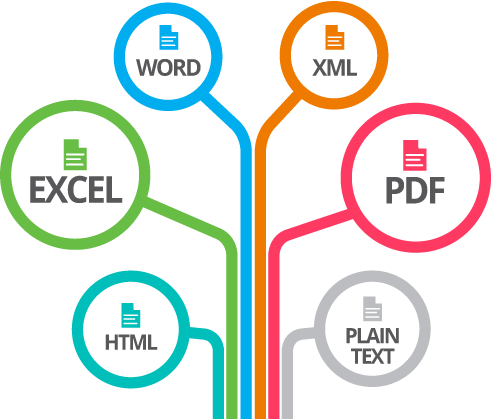 Create or select a DESIGN for your document. Save your settings for 1-Click run of same report.